I'm happy to offer you this prepper discount! 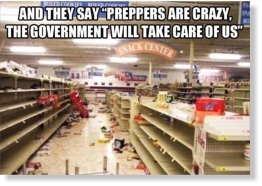 If you're a new prepper, we can understand the push to get a lot of items quickly....we been there and done that! That's what this offer is really about, a way to increase readiness quickly without breaking the bank. Normal price would be about $159 shipped! And I also know that as preppers, we learn how to make things for ourselves which is how I ended up making my own Colloidal Silver Hydrosol. I researched the internet at a fever pace trying to figure out the good from the bad because I didn't want to pay retail if I could make it on my own. I needed that money to buy other supplies or precious metals. The amount of contradictory information is mind-boggling! From the nay-sayers to the true believers, from the pro-ionic crowd to the pro-particle crowd, it literally took a month of researching over a thousand pages minimum to find the thread of truth! "What makes the difference in Colloidal Silver Hydrosol?" "Ions". The common thread of truth in all the research I did was that it always came down to the ions. The ions are bio-active. A piece of silver is not, except that ions will be released from it. That's why it's smart to use sterling silver cutlery or a silver cup for drinking. But what we are after is the ions and the process used to make our product makes ions, MASSIVE amounts of ions! Rather than make my own silver generator, I invested in the most expensive commercial unit that only produces silver ions, not salts or large particles that are useless, slightly toxic, or will settle out of solution over time. And I ONLY use pure distilled/deionized water. In fact, my unit refuses to turn on unless it detects pure water so that it can't make silver salts or other compounds! This ensures only ions. Soon after starting to use my "brew", I experienced the Herxheimer Reaction and that was confirmation to me that colloidal silver is truly bio-active and beneficial. In the time since I've been sharing my product with friends and customer, time and time again, they also experienced a potent detox that made believers of all! Folks, yes you can get 3 9v batteries, some silver wire and a glass of water and make colloidal silver. But what you get is a variety of ions, particles sizes, compounds and salts. 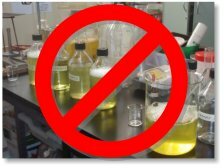 ONLY ions are bio-active....out of all that brew, you got particles that may be too big to be bio-available, and compounds and salts that may be useless at best and somewhat toxic at worst. The "bluing" that is out there on the internet (to scare you away from using Colloidal Silver) is caused by homemade brew that is loaded with silver salts from using impure water or water with salt added. Silver salts are photo-sensitive! Pure ionic is not photo-sensitive therefore our bottles are not dark. And they aren't even glass because glass is bad for ions! The most effective product is pure ionic (only ions are bio-active) made with exceptionally clean distilled/deionized water (which prevents the formation of salts and compounds). Homemade Colloidal Silver is better than nothing in an emergency but prepping is not an emergency! It's getting ready for an emergency. Get the best you can afford. Clear and pure ionic is the best there is! Then I looked at my skill set and knew that I could produce my own brand easily because of my background in web design, marketing, etc... So out of my prepping efforts came this product that I'm passionate about and I'm happy to create this prepper discount, saving you time and money! This package represents an exceptionally fair value! 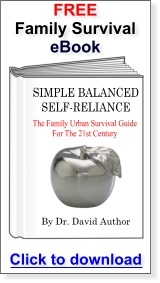 As a prepper myself, I know firsthand the urgency of catching up when my eyes opened up to reality, then need to accumulate quickly capabilities in an overwhelming number of areas and the need over the longer term to develop self-sufficiency to depend on myself and my community vs. assume whatever I need will be in the store waiting for me. All pure, all premium but all affordable! It's 10ppm which is almost the max possible for PURE IONIC. We use .999 pure silver. The process is computer-controlled, preventing particles and salts from forming. Our dedicated clean room ensures purity. After production, we filter the colloidal silver again without using paper filters. Each jug is visually inspected after filling. Each jug is SAFETY SEALED with a heat induction foil seal. Each tamper seal is verified to be secure. Each jug is carefully packaged, normally shipped via USPS. Please Pass The Word About This Prepper Discount? Thanks! It would be GREATLY appreciated if fellow preppers wouldn't mind posting this page on forums, message boards, blogs and social media! 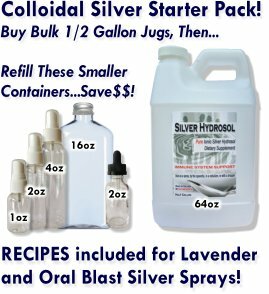 If you would rather learn how to make your own Colloidal Silver, please feel free to contact me for helpful hints, cautions, and guidance. In my own extensive research, I didn't care for the results of a homemade generator because solid engineering is required to get a useful final product, free of particles, salts and compounds that are either useless or toxic. 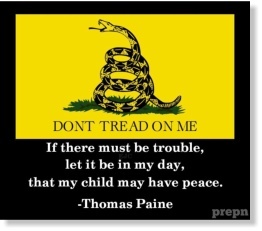 Preppers helping preppers, building community together!